The house move is drawing ever closer and I still have so much I need to do, so much that I need to purchase in preparation for living in a new home. It's all going to happen so quickly over the next few weeks, even though at the moment it feels like the world is turning ever slower as we wait to pick the keys up at the end of this month. A house move requires a substantial amount of money, especially when you have to purchase everything from scratch, and especially since this time it is just going to be Leo and I living together (Plus the puppy of course once we have everything sorted!). 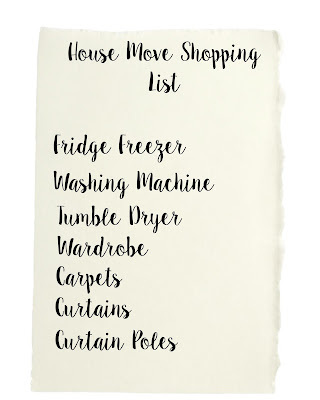 This means I have a very long shopping list on my hands before I even start thinking about everything that will need to be done when I have moved in. Thankfully it is an investment and means that I will only have to shell out for it once, and we will be good to go. I know right now that I don't have the funds for all of this right now. I have been selectively buying bits and pieces over the last few months in readiness, but the items above are things that I cannot do until we have the keys, and can pop in and out as we need to. I am due to get the keys on the 22nd of July, but that really means that all of this is going to have to be purchased all in one go, and that is going to be an expense that really takes it's toll on my bank account. Right now I am busy getting as much work as I can physically take on in order to have some pennies to flash at this rather impressive list of items. I am looking at other options right now, ways in which I can achieve the same objective but in different ways. One of these alternative ways to just give me a helping hand is cash lender Vivus, who would allow me to borrow from £100.00 - £300.00 which would tide me over until I get paid. I have been using local selling sites to see if I can get any deals on the white good's, and seemingly found a brand new Beco Washing Machine (Still in it's wrappers) for £160.00 instead of paying over £250.00 for it from the retailers. That has really helped me in terms of bringing the over all costs down, and thankfully I have already got the majority of my house purchases packed away into boxes. Every time I tick an item off of my shopping list, I feel a little more pressure vanish off my shoulders. 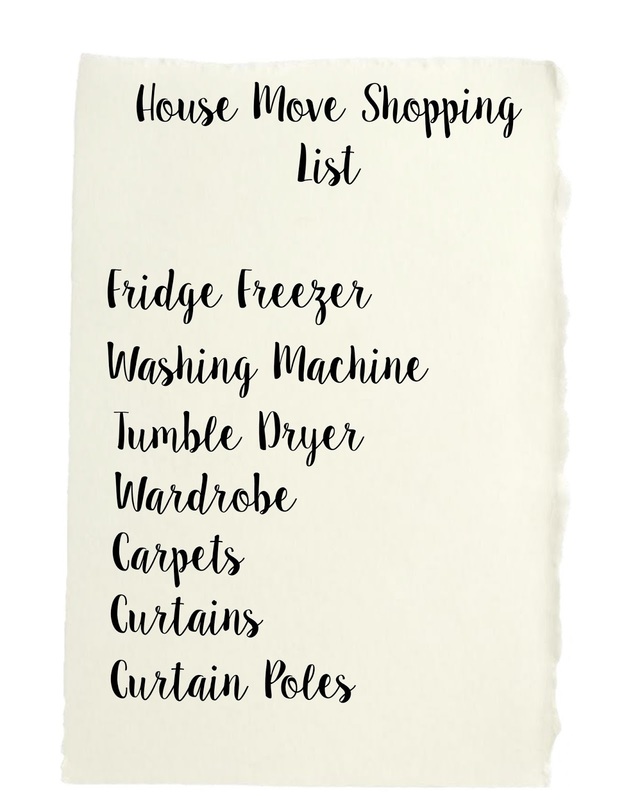 The best advice I can give anyone planning a house move in the not so distant future (or ever for that matter) is make a list of everything that you need. Absolutely everything, right down to the cutlery and anything else you might be thinking about purchasing. Start purchasing items as far ahead as you can, find innovative ways to store everything and start getting boxes ready to put things away. Keep purchasing everything that you can until you have the items that you can only get once you have moved in. This will remove the stress and really help you stick to a budget, but it also means that you can purchase the things that you want instead of the more basic options. Although I have had a budget to keep in mind, because I have spread the cost over a number of months, it has allowed me to purchase all of the things I have loved or liked, over the other options available. Now although I still have a list of expensive items that I need to purchase, I know that it could have been a lot more pricier had I still got to get my hands on everything that I already have packed away ready to go.